Helping resorts get the most out of their beach. Geolocate beachgoers and give them a physical address in the sand. Facilitate commerce and logisitics on your beach with our proprietary mapping technology. 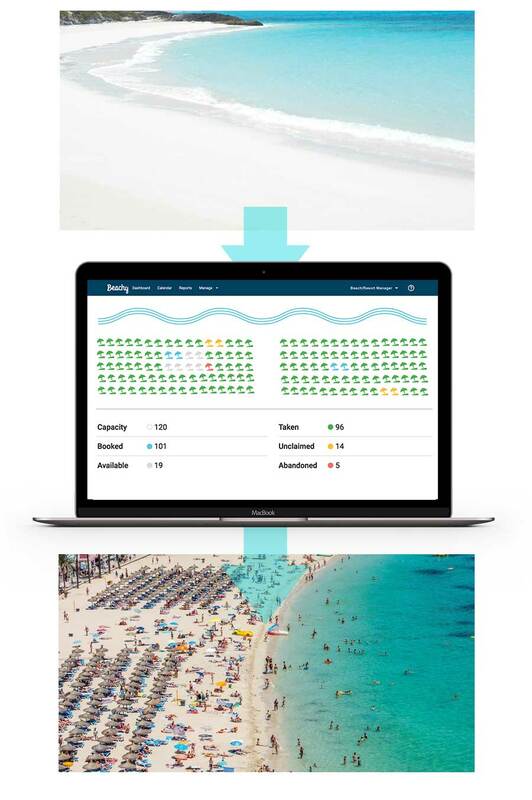 A SaaS solution that facilitates commerce between service providers & beachgoers. 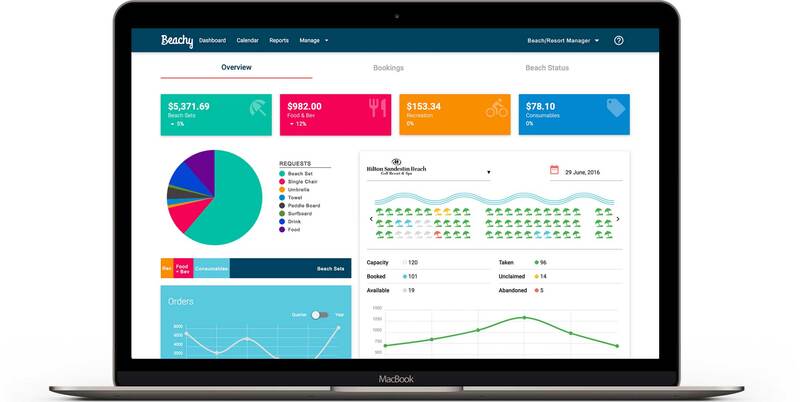 Features include beach set/activities reservation management, reporting and analytics. 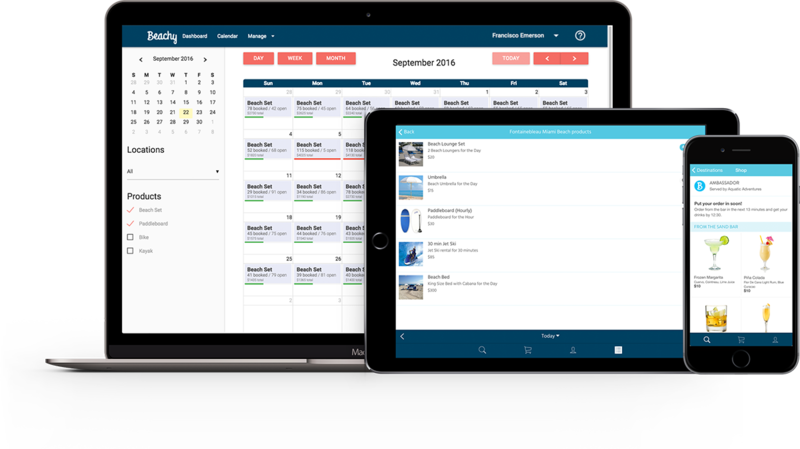 Drop the clipboard and give your attendants the ability to place orders and manage bookings from a mobile device. 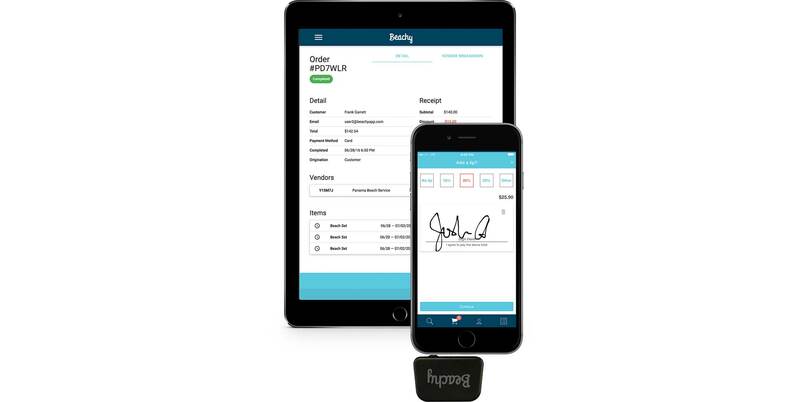 Features include mobile POS/payment processing, and property management systems integration. Beachy is live. If you are interested in what Beachy can do for your beach, get in touch and we will get back to you. Sign up and get the best of Beachy's news, giveaways and stories delivered regularly.